On December 1st 2009, the Clayton police department launched its new Motorola in car premier mdc mobile N.C.I.C. N.M.L.E.T.S. criminal justice sharing network through the New Mexico Department Of Public Safety. 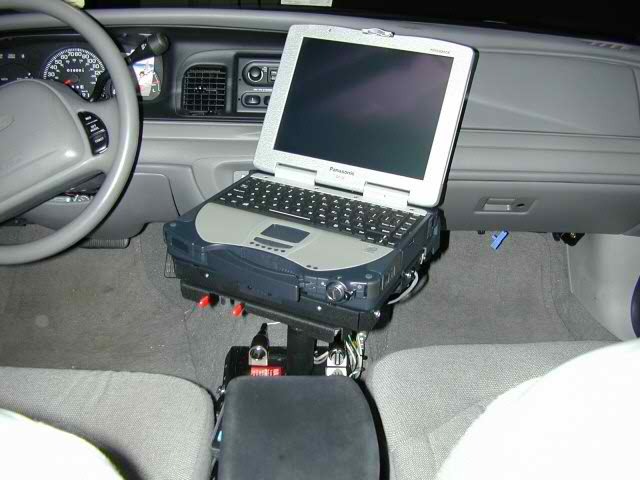 Through extensive research, The Clayton police department found the premier Motorola mdc in car criminal justice network the appropriate technology for its officers. After extensive research and testing, the police department employed the services of the Verizon government wireless cellular network to provide constant secure wireless connections to the New Mexico Department of Public Safety through a virtual private network. The Motorola premier mdc software package features multi layer encripted secure connections to the state DPS switch. The premier mdc software package allows all Clayton Police Officers the ability to conduct criminal justice inquiries from the rugged laptop in each of the patrol units. The system is also set up to allow our dispatch center and officers to communicate with each other with out radio transmissions being intercepted by persons using police scanners. Officers are also able to communicate with over 300 law enforcement officers around the State of New Mexico through our system. The safety of our officers is a priority, officers will know before approaching a vehicle if it is stolen. Copyright 2009 Clayton Police Department. All rights reserved.